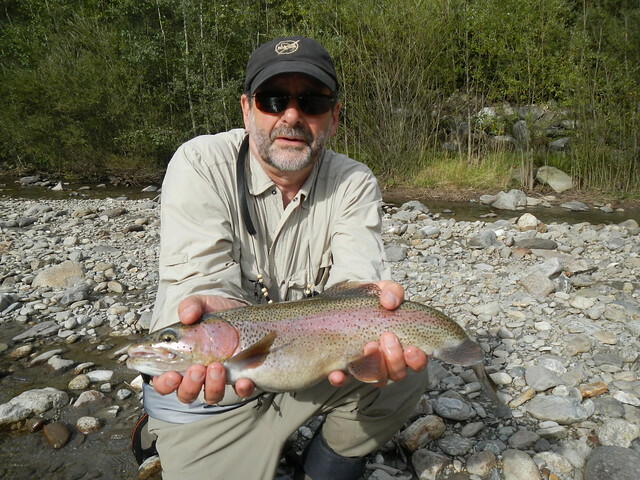 Jerry Kustich is author of At the River’s Edge: Lessons Learned in a Life of Fly Fishing, A Wisp in the Wind: In Search of Bull Trout, Bamboo, and Beyond, and coauthor of Fly Fishing for Great Lakes Steelhead, all published by West River Publishing. His articles and essays have appeared in Fly Fisherman, Big Sky Journal, Fly Rod & Reel, and many other publications. He splits his time between Baltimore, MD, and Twin Bridges, MT. With writing that Nick Lyons has described as “quietly but fiercely independent, free from the commercialism that cloaks the fly-fishing world like a fungus” author Jerry Kustich tackles a range of subjects in his latest book, from fly-fishing contests and world records to the difficult subject of the death of loved ones. But whether writing about epic catches of memorable fish, pristine wilderness rivers, or the Booboys’ controversial departure from R. L. Winston Rod Company, for Kustich the story of loss is linked to the story of hope, and both are reflected in the water we fish. This entry was posted in news on November 26, 2013 by Theaux Le Gardeur. 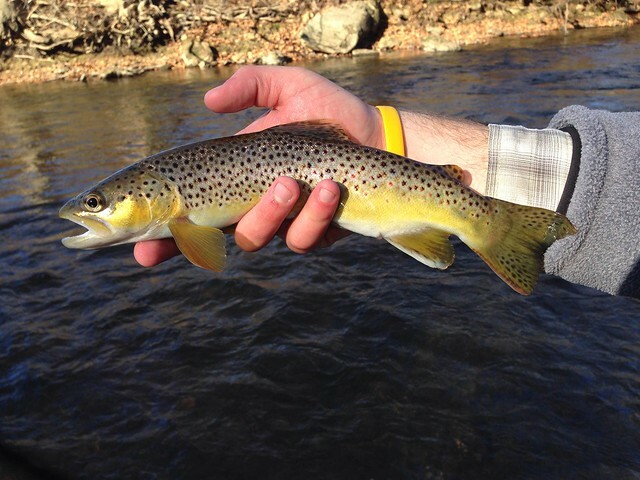 Gunpowder River Stream Report–Streamers are Working Fine! The Gunpowder River is gin clear, flowing at 40 Cfs and 52 F. Using smaller nymphs will prevent all of those leaf hook-ups. Small, traditional streamers are still a good bet. Small caddis larvae and pupa are especially effective in the riffles. Try to limit your wading and use longer leaders in the 12ft 6x range. In the flat water, fish are taking Blue Winged Olive emergers. A few anglers late this afternoon reported that a few slate drakes were coming off as the water warmed up through the catch and release section. This week we have been checking in plenty of hardy winter gear from Patagonia including warm hats, gloves, socks and rainjackets-feel free to stop on in if you’ll be fishing this weekend. My good buddy Gates Blair and I floated a section of the lower Gunpowder River below the catch and release area this past Tuesday the 19th of November. We floated a three-mile stretch of the river and mostly focused our efforts on streamer and nymph fishing. 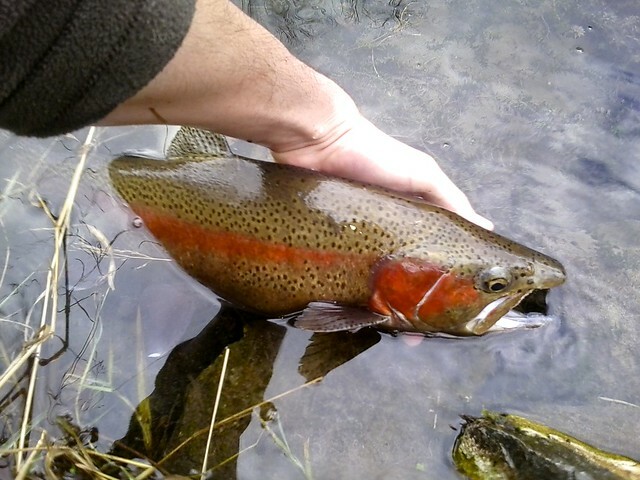 The streamer fishing was slow at first but once the water temperature warmed up the streamer bite turned on. We were having success with large bead headed white and tan woolly buggers in the size # 4 to # 8 range. 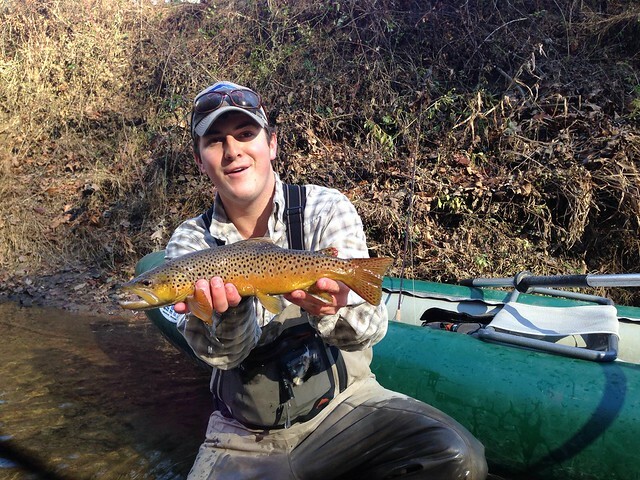 The browns were aggressively chasing our streamers throughout the riffles and deep pools. Nymphing with small caddis pupas and pheasantails was also very productive. A number of fish were also taking a large size # 8 rubber legged squirrel tail nymph. Gates and I caught a large number of browns in the 8 to 12 inch range throughout the day. We also boated two larger browns taping in at 13 and 15 inches long. The larger 15 inch brown pictured below was tricked in a riffle on a size # 14 bead head caddis pupa on 6x tippet. The browns are becoming more aggressive as the fall is coming to a close. 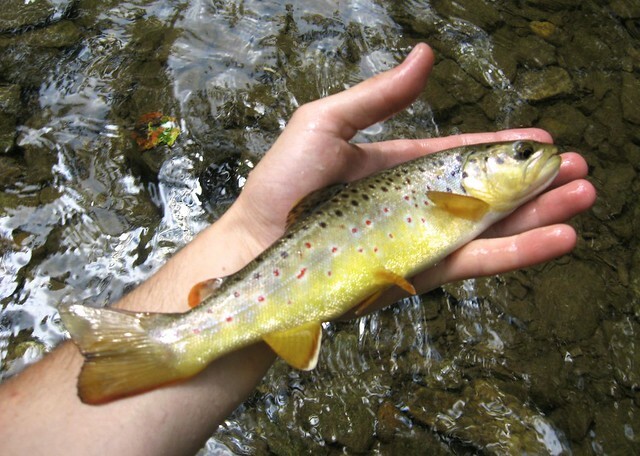 Streamer fishing and nymphing should continue to produce into December. This entry was posted in fishing report on November 22, 2013 by Theaux Le Gardeur. Fly fishing the ditch at Big Springs is a completely different game, there is virtually no flow, the water is gin clear, and it embodies the idea of sight-fishing. It is a rewarding and fun time. I have been fishing it the past couple of weeks attempting to catch one of the 20 plus inch rainbow that you can see cruising the channel. 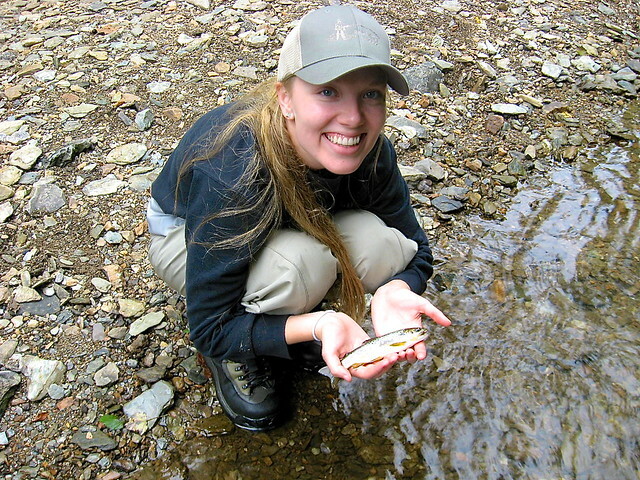 I have not had the luck to land one yet but have landed lots of brook and rainbow trout. The most productive way of fishing is to nymph a scud behind an indicator fly. Unlike other streams I have not hooked on fish on the indicator fly but have watched many eat the scud. I have also been fishing a tiny BWO to fish I see rise and have had almost every fish eat. 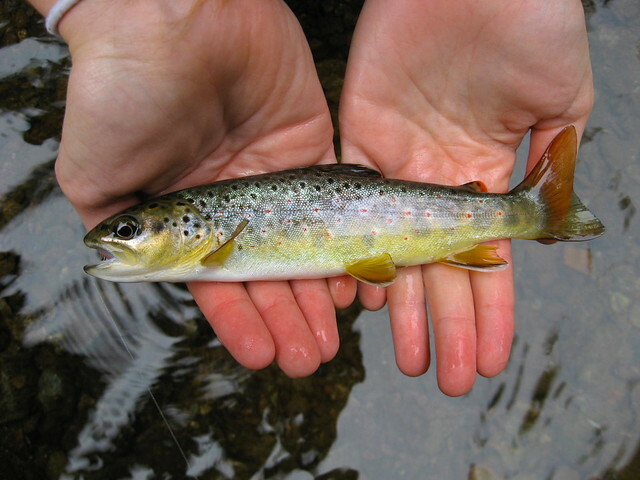 On this stream it is essential to watch the water before fishing, then to crawl and cast from a seated position so the fish cannot see you. Otherwise you will end the day frustrated that you didn’t see a fish all day. Big Springs offers a great unkept secret fishery that makes for a great day trip and is only an hour and a half from the Gunpowder River. This entry was posted in fishing report on November 19, 2013 by Theaux Le Gardeur. Hope you are well. 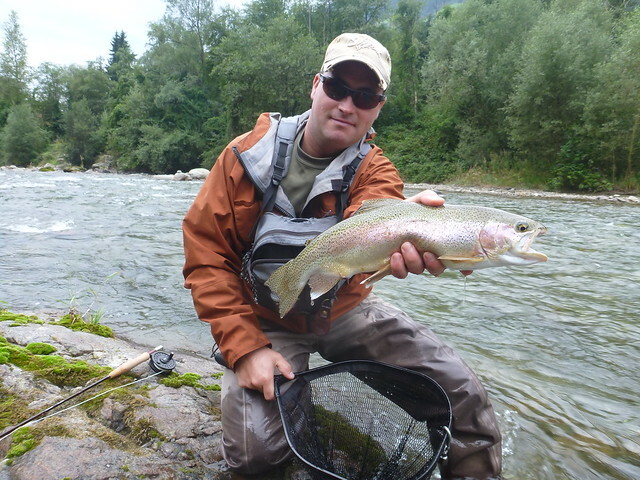 Per our discussion a couple of weeks ago I am including a couple of images in regard to my fishing trip to Alto Adige in Northern Italy this past September. The Passer river section I fished is 10 KM of fly fishing only . You will need a fishing license for Italy 30 EU/10 years validity and a daily license fee of 20 EU . The water is club owned and extremely well maintained. There is one guide- daily rate EU 250.00 -great guy . Please let me know if you desire more information. I am thinking of dropping in on Thursday may fish in the afternoon for a couple of hours. This entry was posted in fishing report on November 17, 2013 by Theaux Le Gardeur. The Gunpowder River is flowing at 42 Cfs is 52 F and clear. BWO’s have been accounting for wild fish in the flats and tailouts, small streamers like Grey Ghosts are still tricking fish in the log jams and over leaf piles. Nymphing remains challenging, if only because the likelihood of snagging leaves with weighted flies remains high. So try smaller pheasant tails in the #16-18 range are small enough to keep you out of trouble and still find a few fish. Now is the time to explore the area outside of the catch and release section. 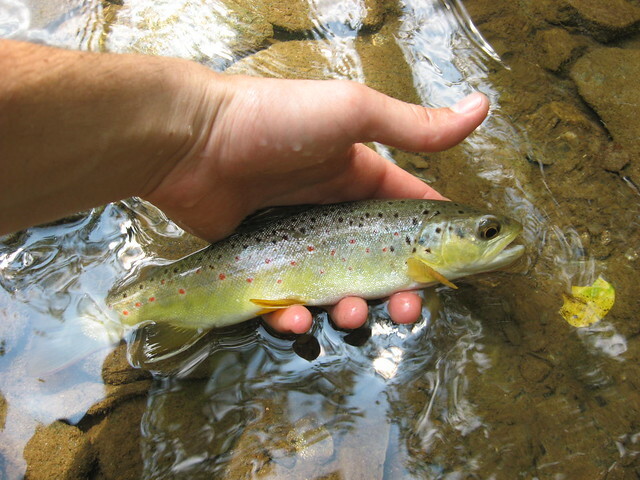 Remember that the Gunpowder has 18 miles of water that supports wild trout. Stop in the shop over the weekend and let us show you some new places to discover on the Gunpowder River. This past week I was able to come home and visit – and of course made time to get out on the Gunpowder for a few hours with my girlfriend. I have started to peak her interests in fly fishing and taught her how to cast. She has caught many fish nymphing and fishing streamers but never on a dry. This past weekend our goal was to catch a fish on the surface. About 15 casts in she hooked a nice fish but lost it in the current. Later that day she was able to land the nice fish above, for her first fish on a #16 Olive Caddis. Needless to say we have another hooked on fly fishing! This entry was posted in fishing report on November 16, 2013 by Theaux Le Gardeur. Please note: The shop will be closed this Friday, November 8th and will reopen on Saturday at 10:00AM. This entry was posted in news on November 7, 2013 by Theaux Le Gardeur. Thanks for your help on Sunday. I went out yesterday late afternoon and after several takes finally managed to hook up on the wet fly you recommended, the fish were small but it made all the fish less trips to the Gunpowder worth it. Again thanks for your help. 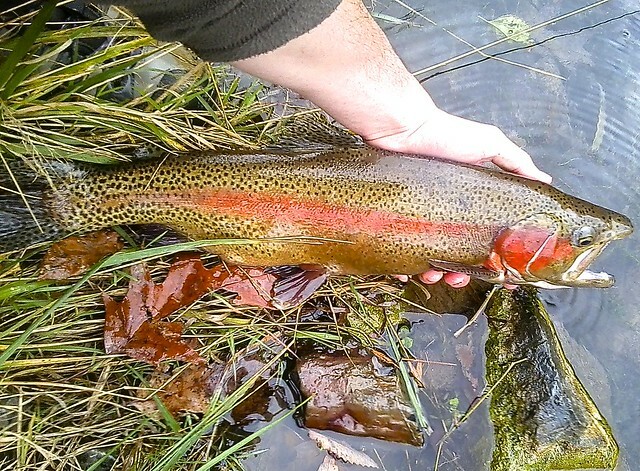 This entry was posted in fishing report on November 2, 2013 by Theaux Le Gardeur.